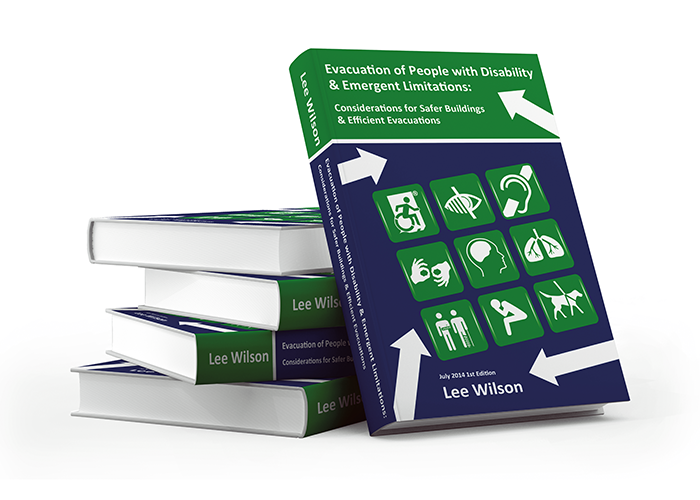 Planning for evacuation of people with disability is a complex issue. 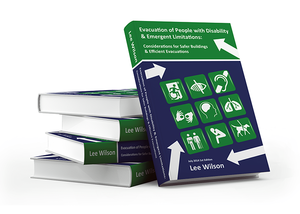 This article is an extract of the recently produced guidebook entitled Evacuation of People with Disability and Emergent Limitations: Considerations for Safer Buildings and Efficient Evacuations, which discusses the requirements for people with disability during building emergencies. A gap exists in many countries’ legislative framework relating to the evacuation of people with disability under disability discrimination, building and workplace safety laws. This gap exposes those members of the community with disability, particularly those with sensory or mobility disabilities, to the risk of being delayed in their ability to evacuate a building or being entrapped within a building. The ABCB Regulation Document RD 97/01 included recommendations for egress provisions relating to places of safe refuge and enhanced notification systems. Contrary to the access provisions adopted in BCA 2011, the proposed emergency egress provisions detailed within RD 97/01 had not been addressed until the 2013 edition of the BCA introduced very limited exit provisions to assist people with disability. Research commissioned by the ABCB in 2005 discussing the challenges of a vertical evacuation path highlighted that any new provisions to be introduced into the BCA would be “very complex considering the numerous building, system and configuration scenario”. For these reasons, it is understood that the ABCB has adopted a strategy to stage the introduction of enhanced egress provisions into the BCA. The current Australian regulatory environment equates to new and refurbished buildings being inclusive and accessible, with little consideration as to how to get everybody out during an emergency. It is my belief that there remains a substantial gap within the legal framework that is ultimately exposing building occupants to an undue risk. This is due to a failure to fully consider everyone’s needs, particularly those people facing a vertical evacuation path within a multi-storey building. 2.1 million 15 to 64 year olds have a disability. 3.4 million have a physical disability. 1 in 6 is affected by hearing loss. Over 700,000 have an intellectual impairment and 90,000 people have a mental health disorder. Vision Australia has estimated there are 357,000 who are blind or have low vision. 10% of the population has dyslexia, whilst almost 90% of disabilities are not visible. Worldwide, people with disability have increasingly moved into the mainstream and deserve to be afforded the same level of safety as they go about day to day activities. After all, there are statutory obligations that require employers, building or facility management, building contractors and building designers to contribute to a workplace that is “without risks to the health and safety of any person”. Commonwealth Work Health and Safety Act 2011 (and/or applicable state based laws). National Construction Code, incorporating the BCA Volume 1 and Volume 2 (adopted into each State or Territory’s building laws). Eliminate, as far as possible, discrimination on the grounds of disability in areas of work, accommodation, education, access to premises, clubs and sport, the provision of goods, facilities, services and land, existing laws and administration of Commonwealth laws and programs. Ensure, as far as practicable, that people with disability have the same rights to equality before the law as the rest of the community. Promote recognition and acceptance within the community of the principle that people with disability have the same fundamental rights as the rest of the community. Specifically, Section 23 makes it unlawful to discriminate when providing access to or the use of premises. The DDA is a complaints-based document, which requires people to make complaints against a property owner or occupier for any changes to occur. The difficulty with administering a complaints-based system is that previously there were no prescriptive requirements detailing how to achieve compliance. In 2000 the DDA was amended and allowed the Attorney General’s Office to develop Disability Standards for premises, similar to those in place for education and public transport. The ratification of the Disability (Access to Premises – Buildings) Standards 2010 (the ‘Premises Standards’) occurred on 1 May 2011, which sits under the DDA. The Standards introduced progressive changes to provide greater accessibility into buildings and were essentially replicated in BCA 2011. However, provisions for the emergency egress were omitted from the Standard. Likewise, the Disability Standards for Accessible Public Transport, which details the access and mobility requirements for public transport facilities, also provides no consideration for emergency egress of people with disability. Occupational health & safety laws provide rights for safe occupation while working in a building or facility. The Commonwealth Work Health and Safety Act 2011 mandates that employers are required to ensure as far as is reasonably practicable that the workplace and the means of entering and leaving are safe and without risks to health. Additionally, it requires that buildings are designed to be safe and without risks, which arguably includes the ability for safe evacuation. The need for safe evacuation for people with disability was recognized in the recent update of Australian Standard 3745-2010 Planning for Emergencies in the Workplace. AS3745-2010 states that the evacuation arrangements for people with disability must be considered in the development of the emergency response procedures and that when developing these procedures, consideration must be given to “occupants and visitors who for one reason or another may need assistance or are unlikely to be able to act optimally in an emergency”. The Standard also recommends suitable strategies should be discussed with people with disability occupying a building, including developing a Personal Emergency Evacuation Plan (PEEP) for each person, with consideration to the use of stairway evacuation devices. Additionally, a list of names, workplaces and other relevant information should be kept in the Chief Warden’s control area. The National Construction Code (NCC) “is an initiative of the Council of Australian Governments (COAG) developed to incorporate all on-site construction requirements into a single code”. The NCC comprises Volume 1 & 2 of the Building Code of Australia (BCA) and the Plumbing Code of Australia. The BCA is published by the ABCB and has been updated and published since 1996 and is adopted by reference into each State or Territories’ building legislation. The objectives of the BCA are to “Enable the achievement of nationally consistent, minimum standards of relevant, health, safety (including structural safety and safety from fire), amenity and sustainability objectives efficiently“. The BCA fails to consider all provisions for safe evacuation for persons with a disability. This need was identified in The Parliament of the Commonwealth of Australia 2009 paper ‘Report of the Inquiry into Draft Disability (Access to Premises – Buildings) Standards’, which made a number of recommendations prior to ratifying the Draft Standards. Accessible door handles on required exit doors. Braille and tactile signage indicating the level of the building below all required exit signs. Exit doors are no longer permitted to have a step within the threshold and require a threshold ramp or step ramp when leading to an open space or road. One compliant accessible handrail provided to all stairways or ramps within a required exit pathway. The recent 2014 update of the BCA included no additional provisions for safe disability egress, other than some general requirements for non-slip surfaces on ramps and stairs. Enhancing existing audible emergency alarm systems with visual warning in accessible areas. More intuitive building design to assist people that are blind or have low vision locate an exit. Improving the accessibility of exits for people with mobility impairments. Co-location of fire-isolated exit with lifts. Accessible egress paths to and from an exit. 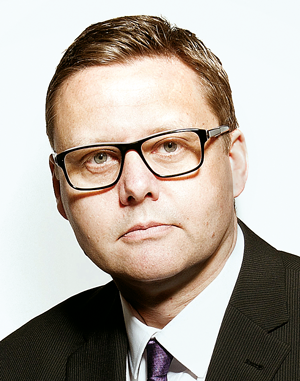 With the recent announcement of the BCA moving to three-yearly editions commencing after BCA 2016 it is critical that the ABCB implements improvements to the egress provisions of BCA 2016 prior to the first three-year cycle, otherwise it will be 2019 before an opportunity presents again for further amendments (and some 22 years after the ABCB published RD 97/01. The proportion of the Australian population over 65 will increase from 14 percent in 2011 to 25 percent in 2100 and we need to work to future proof our buildings for the coming ‘grey workforce’ with people working longer and living longer. In the future there will likely be a higher prevalence of people with disability in the workplace, with higher rates of diminished sight, hearing and other senses. Furthermore, current lifestyle trends in society are creating an obesity epidemic, where the ABS has reported that that the number of adults classified as obese or overweight has increased from 56 percent in 1995 to 61 percent in 2007-08 and in 2008, over one-third of adults over 20 years of age were overweight. More consideration for people with disability must be made across all sectors. Undoubtedly there must a more holistic approach taken by government regulators, managers of workplaces and facility managers and we need to develop strategies to improve social and attitudinal factors in terms of an inclusive approach to accessible means of egress. This approach must consider workplace management controls, the human behavioural aspects and the physical attributes of a building including consideration for the use of areas of refuge, evacuation devices (such as evacuation chairs) and evacuation lifts. The practical and equitable provision of safe egress for all building occupants has been a complex issue to resolve, with a general lack of awareness, understanding and a failure to provide a holistic approach from all parties. In fact, the issue of discussing emergency egress within workplaces was described in 1993 as “opening the proverbial can of worms”, where employees with disabilities would rather keep quiet than cause any trouble or risk their own employment opportunities. This remains an unacceptable situation and needs more consideration with formulated action.